Experiencing some minor maintenance problems with your Nissan? Maybe one of you headlights is burnt out or your wipers aren’t working? 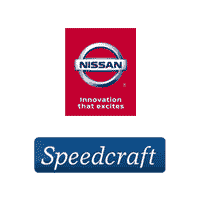 If that’s the case, Speedcraft Nissan is ready to help! We know that minor problems can range from a minor inconvenience to a sign of a bigger problem, which is why it’s important that you have any problems in your vehicle checked as soon as possible. We’ll take on whatever maintenance your vehicle needs, our Nissan Certified staff is trained to work with the complex inner workings of your Nissan vehicle. We’re also prepared to give you quick and quality care, ensuring that you can get back on the road as soon as possible. Even if the problem in your Nissan isn’t causing any immediate danger, we may still encourage you to bring it to our service drive so we can check it out. Better safe than sorry! Some of the small fixes improve the efficiency and performance of your vehicle, keeping it on the road longer! Here at Speedcraft Nissan, we’re committed to providing you with quick, yet thorough care, so you can get back on the road as soon as possible. Simply make an appointment when it’s convenient. For certain services, no appointment is necessary, simply stop by and take advantage of our Service Express program!